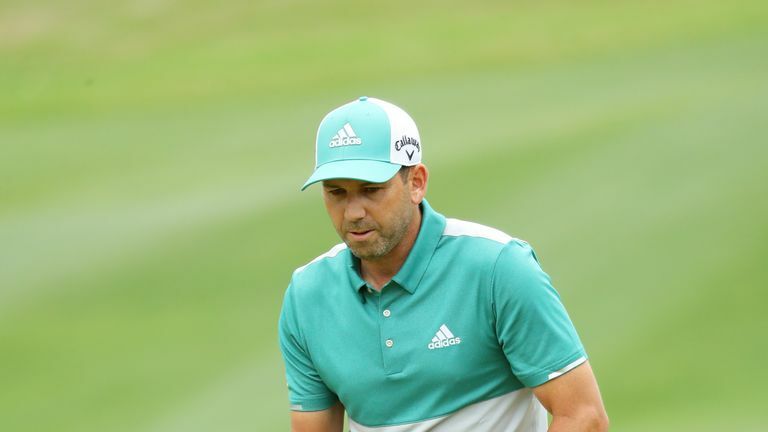 Sergio Garcia let his frustrations get the better of him after a controversial incident during his quarter-final exit against Matt Kuchar. The Spaniard was beaten 2up by Kuchar at a windy Austin Country Club, where Garcia became visibly agitated after slipping behind on his front nine. Garcia was already one behind when he failed to convert his birdie attempt at the par-four seventh, before missing a second putt from inside a foot and picking his ball up. The second missed putt had been made before Kuchar had a chance to concede the hole, meaning Garcia was subject to a stroke penalty and a loss of that hole. "I screwed it up, it's as simple as that," Garcia said post-round. "Obviously I missed my putt and I kind of tapped it with the back of my putter before he said anything. Garcia was clearly furious with the decision and vented his opinions to Kuchar on the next hole, where he then swished his putter in anger after falling further behind with a missed par-save. Click on the video above to see Garcia get angry! Watch the WGC-Dell Technologies Match Play throughout the weekend live on Sky Sports Golf!